Amazon.com Inc has won U.S. federal regulators' approval to test a delivery drone outdoors, as the e-commerce giant pursues its vision of speeding packages to customers through the air, while facing public concern over safety and privacy. The Federal Aviation Administration said on Thursday it had issued an experimental airworthiness certificate to an Amazon unit and its prototype drone design, allowing it to conduct test flights over private, rural land in Washington state. The FAA also granted Amazon an exemption from general flight restrictions on drones, or small unmanned aircraft, similar to exemptions granted to more than two dozen companies in the past year. The approval marks a win for Seattle-based Amazon and advances plans by it and others to deliver packages by small, self-piloted aircraft. But it comes with limitations. The experimental certificate applies to a particular drone design, and Amazon must obtain a new certification if it modifies the drone, making it difficult to adapt the model quickly in the field. Amazon's petition for permission indicated it has been testing several iterations of a drone design at an indoor facility in Seattle. 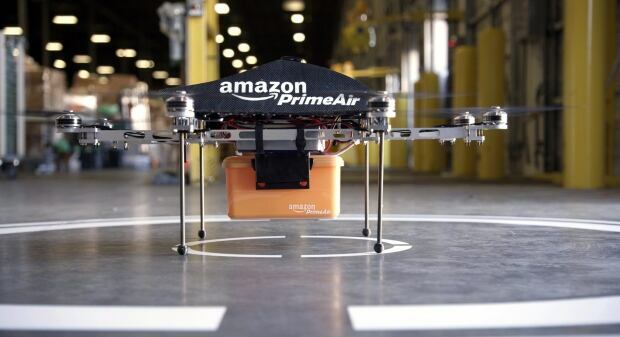 Amazon must keep flights below 120 metres and keep the drone in sight, according to the FAA. The company had asked for permission to fly at altitudes up to 150 metres. The drone operators must have a private pilots' licence and current medical certification. Amazon must supply monthly data to the regulators. As part of Amazon CEO Jeff Bezos' plan to deliver packages, a program dubbed "Prime Air," the company is developing drones that can fly at speeds of 80 kilometres per hour, operate autonomously and sense and avoid objects. Amazon also is among those working with NASA on an air-traffic management system for drones. Amazon sought permission from the FAA to test drones in outdoor areas near Seattle, where one of its research and development labs is working on the technology. The company has conducted test flights outside the United States, in countries with looser restrictions. In February, the FAA proposed long-awaited rules to try to set U.S. guidelines for drones, addressing growing interest from both individual and corporations in using unmanned aerial vehicles. The draft rules still must undergo public comment and revision before becoming final, a process expected to take at least a year.